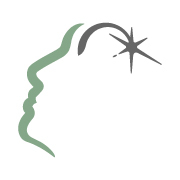 We are a community based brain injury program for individuals with work or auto sustained brain injuries. We service southeast and mid Michigan. We at Innovative Rehabilitation Systems believe the key to success in the rehabilitation treatment process is providing goal driven, time limited, cost effective, quality services by specialists. Throughout the almost 24 years the program has been in existence, we have been committed to providing intensive individual therapy by fully licensed therapists. The emphasis is on goal-directed individual rehabilitation for addressing safety, skill building and independence with emphasis on cognitive recovery. What does community based treatment mean and why is it important? Inability to generalize learning is a major challenge in brain injury treatment. This inability to generalize is caused by the damage to the brain. The challenge it presents is that clients that are taught tasks in clinical settings are not able to generalize the skills to the real world – their homes, work, school, and other community settings. All services by Innovative Rehabilitation Systems therapists are performed in the home, community or work place so that the generalization issue does not interfere with progress towards the individual treatment goals. Services available are performed by one-on-one full licensed/registered/certified therapists.